Chelsea linked with second rate Goalkeeper released by Pep Guardiola! According to reports, Chelsea have made their move to sign a replacement Goalkeeper after Asmir Begovic signed for Bournemouth and it's someone released by Pep Guardiola! Let me start by saying it's not Joe Hart! Let's be honest, with Thibaut Courtois expected to sign a new improved contract it was never going to be. Chelsea are actually in for Willy Caballero who has just been shown the door by Pep Guardiola at Manchester City. 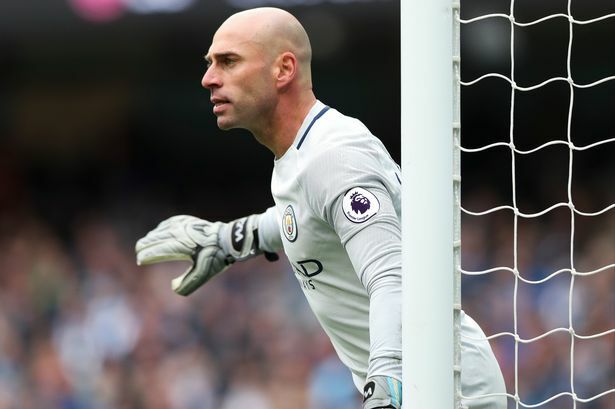 Caballero took over as City's number one for a spell towards the end of the season after Pep had lost confidence in Claudio Bravo so it's comes as a surprise that they have decided to cut ties with him if I am honest. However, and I have to say it when we have the likes of Jamal Blackman waiting in the wings, is that if this guy is deemed as surplus to requirements at City then why on earth are we looking to sign him when it became clear that both he and Bravo were useless and not cut out for the Premier League!? It's at times such as these, when let's face it, the Goalkeeping position is pretty much nailed on for Courtois for whenever he wants to play, we should promote Jamal Blackman who has spent years here through the Academy, to then have a spell on loan away from the club and has done well, to our official number two and encourage his development. Why on earth are we looking to sign this muppet instead!? I'd much rather Antonio Conte convinces Hilario or Carlo Cudicini to get back in training! What do you think of us being linked with him? Would you not take the opportunity to promote Blackman this season?